Calgary has 185 neighbourhoods and counting. But can we afford all of these neighbourhoods, each with their own Community Association and Community Centre? Many of which are chronically struggling for volunteers and funding. Is there an opportunity to merge some of the neighbourhoods to create more logical, viable and vibrant communities? I'm torn. So I checked with Jane Jacobs the grandmother of modern urban thinking and harry Hiller, urban sociologist at the University of Calgary. Hiller thinks neighbourhoods are possibly irrelevant in the modern world. Jane thinks bigger is better. Calgary has 185 neighbourhoods and counting. Traditionally, the City has been divided into four quadrants, however, in reality there are at least eight different districts. Small town = Small Minded? Creating great neighbourhoods is critical to our City’s present and future prosperity as they attract young people to want to live here. It is young people with new ideas and new energy who are the future of any city. A good neighbourhood fosters social connectedness, economic diversity, well-being and civic pride. One of Calgary’s urban living advantages since the ‘60s has been how it has fostered small town neighbourhoods of about five to ten thousand people. From the new Legacy in the far south, to Cliff Bungalow in the core – our city has kept our communities relatively small even as it grew from 250,000 to over one million. These small town-like neighbourhoods of about 10,000 people made it easy for hundreds of thousands of Canadians who moved here mostly from small towns to assimilate into the big city. It also psychologically makes us feel more connected to people around us. On a personal level, I know I have come to love my neighbourhood – West Hillhurst - because of its idiosyncrasies. However, Jane Jacobs, the legendary writer on cities and urban design, always maintained that small communities are a sentimental longing for the past. AND that we should be fostering larger more urban districts of 50,000+ citizens. She even suggests that small-town size neighbourhoods foster NIMBYism. Something we all know Calgary is plagued with. Jacob's argued that bigger neighbourhoods are better. 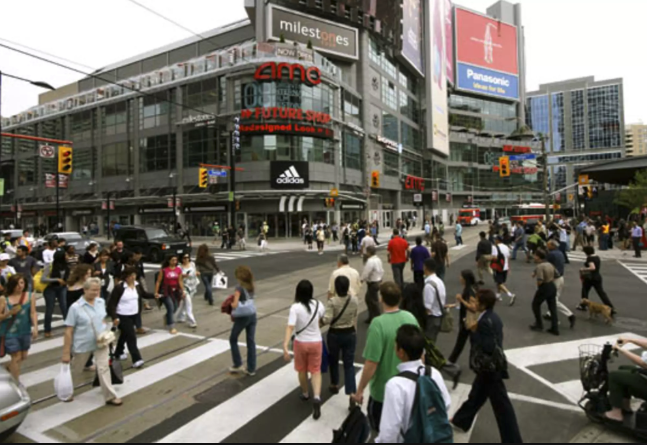 And as our city continues to grow, the temptation to create 'bigger' neighbourhoods looms. Certainly there would be a cost saving in duplicated resources, and larger communities might hold more sway with city council and developers. But I think good things come from small neighbourhoods. In 1960, Jacobs wrote the definitive book on creating great neighbourhoods – “Death and Life of Great American Cities.” Note: I have been re-reading this book over the summer. Well, Calgary certainly has suburban life – imitation or not. And we've even tried to create a vision of 19th century 'towns' – think Mackenzie Town. But, then Jacobs goes on to say the focus should be on creating districts of about 50,000 to 100,000 people. This, she argues, would create a critical body of voters which could in turn influence politicians. Ironically, this fits nicely with Calgary’s 14 Wards, with populations ranging from 70,000 to 105,000, each with their own schools, major park, library, recreation centre and shopping mall. But, it's probably fair to say most of us don't identify with our Ward. We are still stuck on community. And maybe there is something to this. Maybe it is time to stop thinking of our neighbourhoods as pristine little imagined communities. Maybe we need to relax a bit when it comes to our community associations trying to gobble up resources so we can each have our very own little library or pool, school or soccer pitch, dog park or city contribution to some cultural event. I have to admit Jane’s logic makes more sense now than perhaps it did in the ‘60s. Today, urban living means a home in one part of the city, while working in another and playing in yet another. We are just as connected with someone on the other side of the city, as we are someone on the other side of the street. Most kids don’t grow up in their neighbourhood anymore– their daycare, schools and extra-curricular activities are rarely in their ‘hood. Recreation centers, libraries and churches are mega regional facilities that attract people from all over the quadrant. Few walk to the library, playing field or recreation centre anymore. Knowing this, should we plan our cities differently? 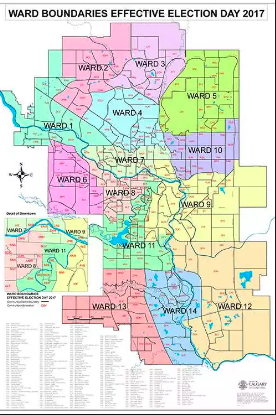 Calgary's Ward system corresponds nicely with Jane Jacob's suggestions that a city should be divided into districts of about 50,000 to 100,000 people. Interestingly, Paris is divided into 20 neighbourhoods, each with about 100,000 people. Humans have lived in small towns for millenniums. We like it when we see people we recognize at the dog park, playground or at the store. Even if we don’t know their name we will say “Hi” if we see a person frequently enough. Living in small neighbourhoods is in our DNA. I don’t have any empirical data but based on my 35+ years of living in Calgary, I believe most Calgarians like living in their small town-like neighbourhoods. Living in West Hillhurst for over 25 years, I have come to enjoy the diversity of my community and I expect that is true for most of Calgarians. From Avenue Magazine's 2018 ranking of Calgary neighbourhoods. 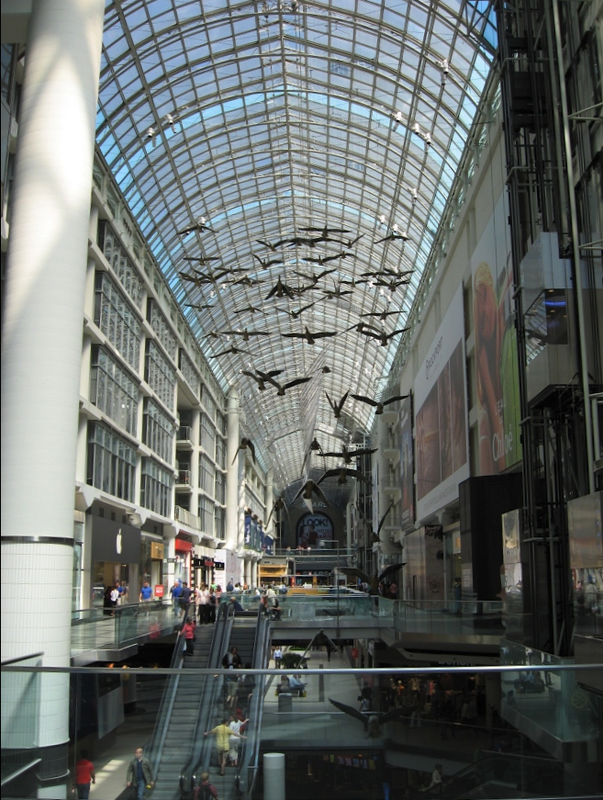 Avenue Magazine's top five neighbourhoods. Why I love West Hillhurst…. West Hillhurst was originally part of the massive 146,000-hectare Cochrane Ranch owned by the Riley family. Over the years the land has had names like Grand Trunk, Upper Hillhurst, Westmount, Parkdale Annex and Happyland. Today it is home to 6,500 people, with the heart of the neighbourhood being West Hillhurst Park and recreation centre. It may not have all of the bells and whistles of the new mega million-dollar recreation centers on the outskirts of the City but it is works just fine. I love that West Hillhurst is more than just a sea of luxury infill homes. Even though there has seemingly been a new infill being built on every other block for 25+ years, there are still lots of tiny cottage homes and single-story mid-century homes. I love how the past and present intermingles. It's a bit of a jumble – schools, parks, homeless shelters, affordable housing, an abortion clinic, an ENMAX transformer, senior centres, a Lion's club, churches, a river, roads, rec centres, playgrounds, shops, and a hundred other 'things'. All of which form 'community'. I love the social cohesion that exists in my neighbourhood - how people of all ages and backgrounds mix. I doubt West Hillhurst is unique, I expect all of Calgary’s 185 communities have their own charm and appeal. In a big city you need a spectrum of communities that will appeal to the diversity of lifestyles from highrise living to estate homes, from co-op housing to affordable housing. A city’s richness come from the diversity of its neighbourhoods. Calgary is blessed with such! But, it may be time for some of this wonderful uniqueness, to merge. This early 20th century map indicates that there were several neighbourhoods in what is now Hillurst and West Hillhurst. Today West Hillhurst is divided east and west by the Crowchild Trail Divide (most people think the west side is actually Parkdale). Most people think West Hillhurst ends at Crowchild Trail and Parkdale starts on the west side of Crowchild Trail, but in fact it doesn’t start until 29th St. in fact there is are three churches that are named Parkdale but are actually in West Hillhurst. Crowchild trail is a natural boundary / barrier between those who live on one side and those on the other of Crowchild trail. I will probably be tarred and feathered for saying this but perhaps it is time to re-evaluate our boundaries. They are only imaginary anyway. 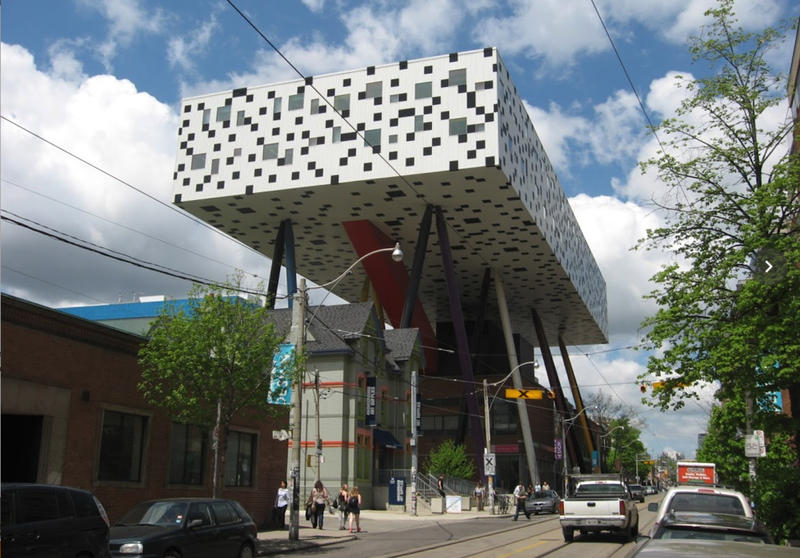 Should West Hillhurst and Parkdale amalgamate? Or should West Hillhurst become part of larger Hillhurst/Sunnyside community. Maybe we should even think bigger and create a North Hill community that would combine Hillhurst/Sunnyside, West Hillhurst, Parkdale, St. Andrew’s Heights, Briar Hill and Hounsfield Heights. Should Sunalta be part of the Beltline? Should Renfrew be part of Bridgeland/Riverside? 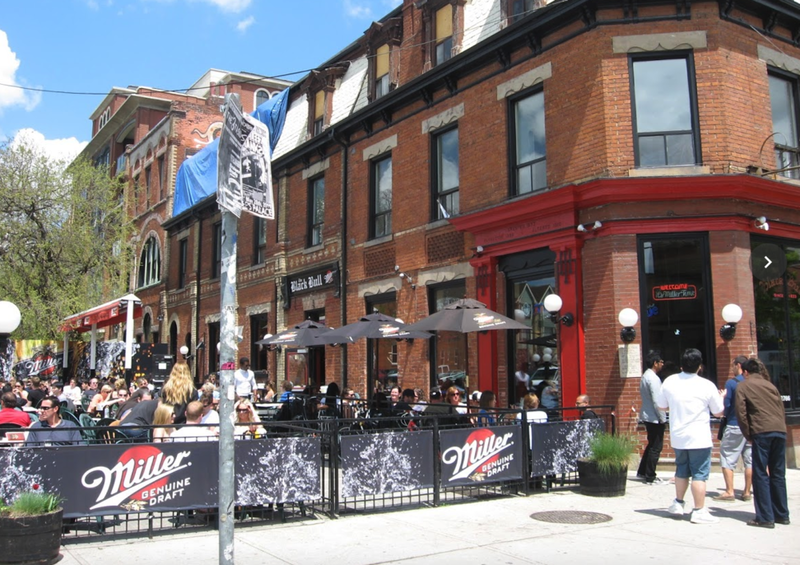 Should East Village, Downtown Commercial, Eau Claire, Chinatown and Downtown West become one downtown neighbourhood? Many inner-city community boundaries don’t make any sense anymore. Most of them were established based on city and homebuilders’ subdivisions that are 50 years out-of-date. We just don't live that way anymore. We use our city differently. Indeed, amalgamations have already worked for some neighbourhoods. In 2004, the communities of Connaught and Victoria Park (two of Calgary’s oldest neighbourhoods) merged to become the Beltline. This has allowed for better planning and development. Now unified, the city was able to devised a “Blueprint for the Beltline” that charted a much more practical vision for the area. A better use of land and limited resources. The Northern Hills Community Association is another example of where six ‘90s suburb neighbourhoods - Harvest Hills, Coventry Hills, Country Hills Estates, Panorama Hills Estates, Country Hills and Panorama Hills have come to think of themselves as one big community. Even while they keep their names, they've found collective action can bind them to each other. 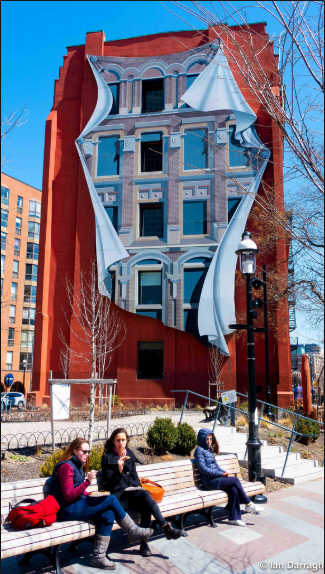 Thus, their recent 850m mural project - the longest in Canada. 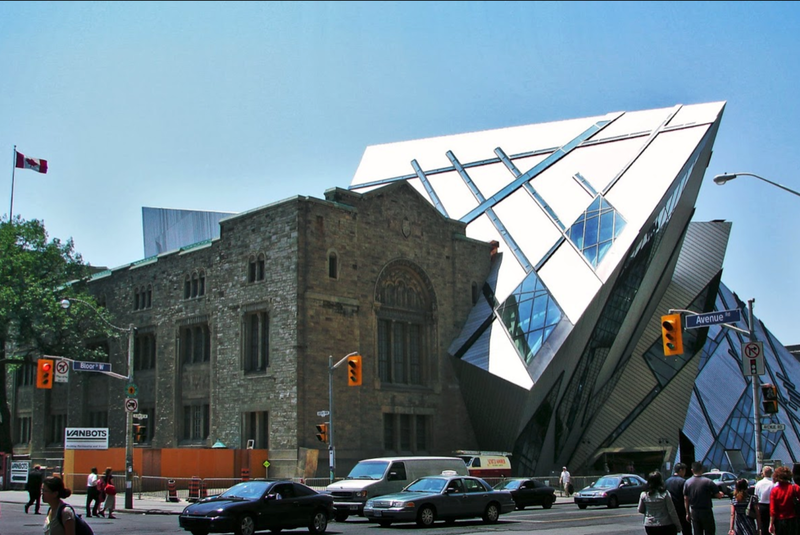 So, perhaps it's time to stop playing the Freudian civic game of, 'who has the biggest YMCA', and start thinking about how we can better share our shiny new civic toys within the content of macro neighbourhoods. 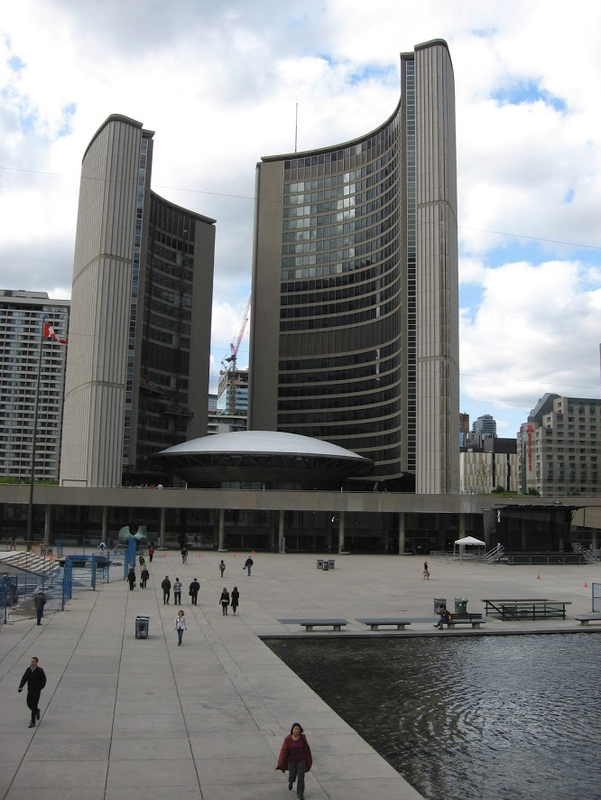 Certainly the folks at city hall, trapped in seemingly endless rounds of 'consultation' on every darn project with a near endless list of concerned citizens from 'the local neighbourhood' might, just might, find it easier to get stuff done if they had to deal with fewer folks. Yet I think we must temper this ambition. While Jacobs thinks fostering small town living “warps” cities, I beg to differ. I don’t think wanting to live in a small town is “a sentimental longing for the past,” but rather an intrinsic part of human happiness and well-being. So, do researchers from McGill and the Vancouver School of Economics who published a paper in May 2018, documenting that Canadians who live in small towns are happier than those living in big cities. Lucky for Calgarians, despite the endless sprawl, we all continue live in small towns. Perhaps that's why we are generally happy and satisfied with our quality of life. A 2015, Stats Can study found Calgarians’ life satisfaction is higher than Vancouver’s or Toronto’s. A 2017 City of Calgary Citizen Satisfaction survey found 85% of us rated our quality of life a good. Obviously, Calgary is doing something right. Whether it's an itty bitty place like Mission, or a bigger lake-community in the south. Vive la difference! What's critical is fostering a sense of community, a sense of belonging and personal happiness. Perhaps we don’t need all 185 neighbourhoods. Perhaps there should be some amalgamations, but for the most part Calgary has been, and will continue to be, well served by fostering a sense of small-town living in an ever-bigger city. 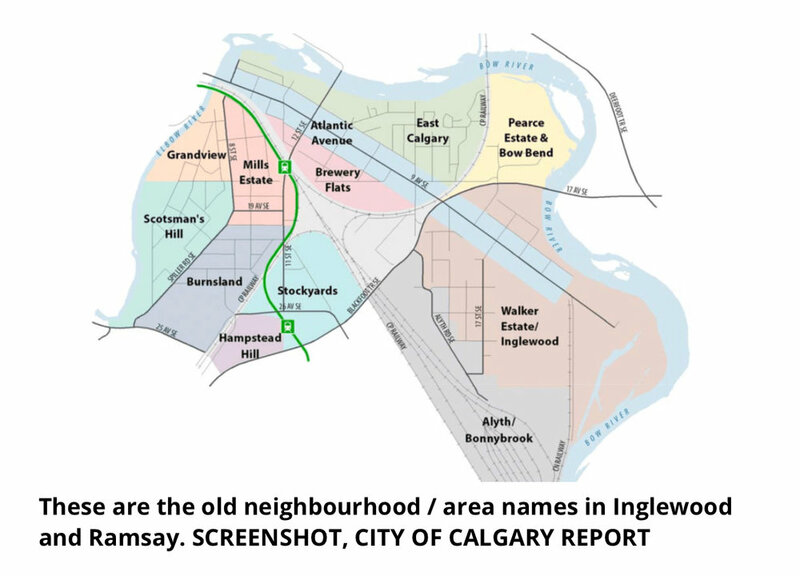 This map was posted on Twitter recently, indicating that Inglewood Ramsay was once 12 different neighbourhoods. The most important thing to know is the distinction between community of place vs. community of interest. 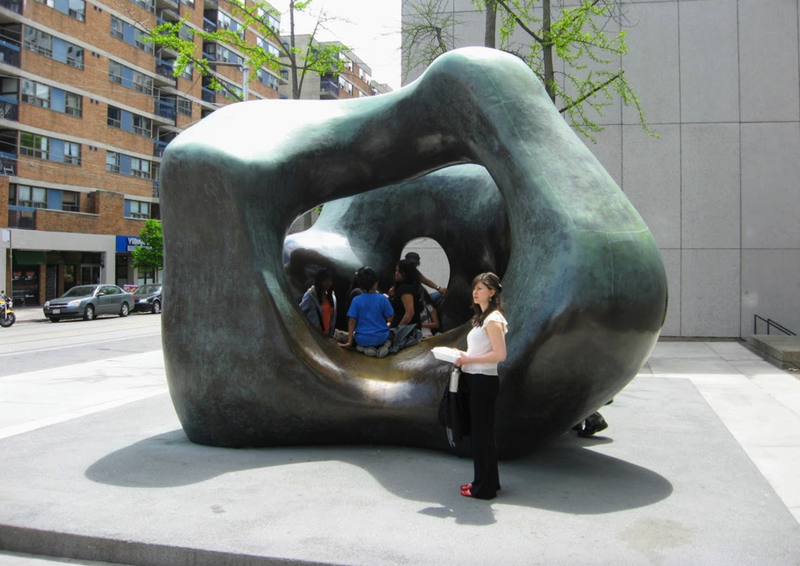 We often assume that community is a geographic or place based phenomenon. While that is true, it is also a phenomenon that people create community based on mutual interests where place is irrelevant. We build subdivisions using principles such as walkability and community associations because we assume that people create community based on proximity of residence. But that is no longer true. People now may drive all over a city to find people with similar interests to their own. This is also heightened by the creation now of digital communities where geographic proximity is totally irrelevant. One of my best examples of this was the old notion that every subdivision had to keep a double lot for the establishment of a local church that may have serviced 200-500 people. Now that is not done any more as mega-churches have been created that people travel from all over to attend (e.g. Centre Street church), or people may choose to attend a church or model railroading club or lodge that services a quadrant of a city or just the city as a whole. Community then occurs based on common interests and is not related to a local sense of community. We have a friend in Calgary who has become quite fascinated by a church in Dallas which I looked up and I discovered that they tell people that they can become an e-member. So community might be local or city-wide but it can also be virtual. The ultimate point is that community based on place requires a much broader interpretation and geographic location might even be totally irrelevant. Note: An edited version of this blog was published by CBC Calgary news as part of their "Road Ahead" feature. on Saturday, Sept 8, 2018. Altadore: A Model 21st C Neighbourhood? Recently a former neighbour who moved to Sunnyside shared with me a copy of the Feb 2017 Hillhurst Sunnyside Voice (community bulletin) thinking I would be interested to see all of the new development projects in the community. One of the many sites in Hillhurst/Sunnyside that is a potential new development site. Truman Condo, 922, 926, 928 Memorial Dr. This got me to wondering! How does the Hillhurst Sunnyside Planning Committee must be spending with developers, City and community to gather information, listen to presentations, discussing how City policies and plans are being followed, understanding the short and long-term the community-at-large implications and then respond to the application. Then I thought - this is just one community! What about all the other inner city communities where new infill projects are routinely being proposed. Do they all have Planning Committees and how do they find qualified volunteers who are willing and able to spend the time to do all of this volunteer work? Having served on the City of Calgary’s Planning Commission for two years I know first hand how hard it is to understand all of the City’s plans, policies and zoning regulations, as well as how detailed the development application documents can be. A quick check of the Hillhurst Sunnyside website revealed they have full-time staff member to help with urban planning issues and communications. Hmmm…now I am wondered how many other communities have a paid urban planning position? So I checked with Lisa Chong, Hillhurst/Sunnyside’s Urban Planning Coordinator since 2013 to learn more about what she and the volunteer Planning Committee do. Everyone has a different idea of what is important to them and the future of their community. What is the role of the Hillhurst/Sunnyside’s Planning Coordinator? I coordinate all the community’s education and engagement activities with respect to planning issues – infill developments, heritage, safety, public spaces and public realm. This includes not only coordinating Planning Committee meetings, but numerous guest presentations to the community on development and other issues. I also spend significant time on planning communication by way of community newsletters - Voice, monthly e-newsletters and social media posts. We also do our best to engage with the community and make sure their feedback is discussed and incorporated into our formal feedback to developers and the City of Calgary. The new Ezra condo on 5th Avenue next to the Hillhurst/Sunnyside community centre was opposed by some community members. How many people are on the Hillhurst/Sunnyside Planning Committee? Approximately 16. But people come and go depending on their interest and what is on the agenda. At one time I had 60+ people on the email list. Typically, we have about 10 members at each meeting and anywhere from 2 to 50 interested guests. At max, we’ve had 65 people attend one of our guest presentations. We also have folks we consider community leaders who we ask for input on specific issues. In addition there are volunteers who help with the distribution of leaflets to households immediately adjacent to proposed developments. The approval of St. Johns on Tenth condo was delayed for several years to meet the community and neighbours' concerns before approval was granted. Can you share with me the qualifications of committee members? Members are not required to have specific qualifications but are required to keep up with planning education (Federation of Calgary Communities’ “Partners in Planning” courses, newsletters and other forms of communication). Some are long-time residents others have lived in Hillhurst Sunnyside for a few years. We have a mix of homeowners and renters and from single-family homes and condos, with ages ranging from 30s to 60s. The planning committee team draws from a pool of members with professional in architecture, planning, engineering, development, heritage, local business, law, oil and gas, arts, education and entrepreneurial. As this is just one of 151 community associations in Calgary, I wondered what does the citywide picture look like. I contacted the Federation of Calgary Communities (FCC). Turns out the FCC has two full-time urban planners on staff to help community associations with planning issues and to coordinate education programs. Carrie Yap one of the FCC planners was more than pleased to answer my questions. This fun house now has a development sign on the front yard. How many CA’s have standing planning committees? There are approximately 95 communities with standing planning committees that actively participate in the planning process. Participation in the planning process is different with each community association depending on their capacity and the magnitude and controversy of developments in their community. She confirmed Hillhurst Sunnyside is the only Community Association with a full-time Planning Coordinator. The old CBC site on Memorial Drive NW is slated to become a major residential development. How many volunteer hours are contributed each year by Planning Committee members? I don’t know about you but I am intimidated and exhausted after reading this list. No wonder many CA Board and Committee members suffer from volunteer fatigue. Note: I misinterpreted the original information I received from Carrie Yap as 12,000 to 15,000 volunteer hours per Planning Committee vs the number being the total of all 95 Planning Committee members. Unfortunately this misinformation was published online by the Calgary Herald. I am now thinking this number is conservative given what I know about how much time it takes to do all of the above activities. Truman Homes placed with Sounding Board in the Legion Parking lot on Kensington Rd NW so anyone walking by could leave comments. Information on the proposed development was located on the other side. How many project per year are reviewed each year? Which communities are the busiest? The Federation does not track how many projects per year are reviewed by each community. However, we have seen a direct correlation between policies the City is working on and a community’s lifecycle with how active a community is with planning issues. The busiest planning committees are the ones dealing major redevelopment projects or major City of Calgary planning initiatives like the Main Streets Initiative and Green Line Corridor. Based on the information on the city website, for the month of January 2018, alone 467 applications (development permit, land use amendments, or subdivision applications) were circulated to our community associations. 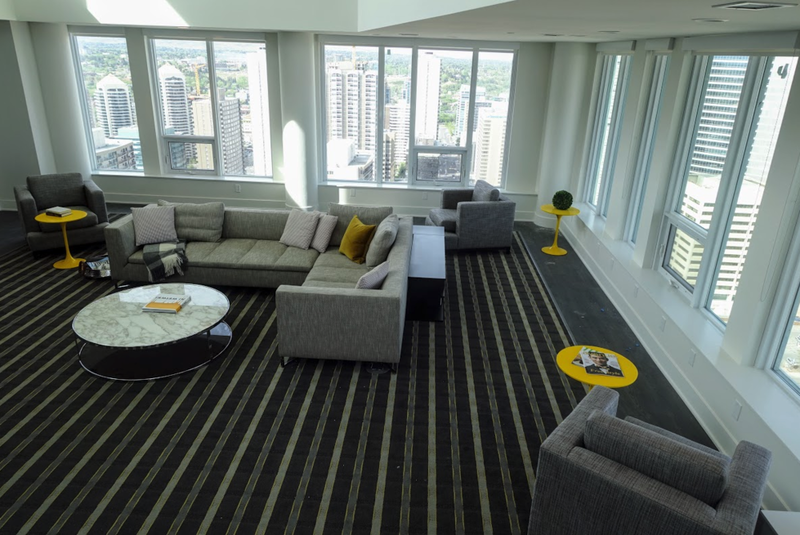 Leslie Evans, Executive Director of the Federation of Calgary Communities thinks, “Planning committees and community associations are one of Calgary’s hidden gems. They are the people that help build community character, advocate for your neighbourhood needs and they do it without any recognition but simply because they love their community and this city. Proposed redesignation signs like this are popping up more frequently in Caglary's inner city communities. In reality not all Community Association Planning Committees are created equal. Not all have broad representation from their community like Hillhurst/Sunnyside. In some cases the membership on the Planning Committee doesn't represent the diversity of opinions with respect to development of the entire community. While many of the members of the 95 Planning Committees are educated professionals, few are fully versed on the complexities of City's overall planning policies and how they impact their community. Former City Councillor, Brian Pincott says "while some Community Association Planning Committees are very well managed and representative of the community, in some cases it is whoever shows up." With that being said, a follow up blog will examine the experience Pincott and others have had in working with Community Associations positively and negatively. 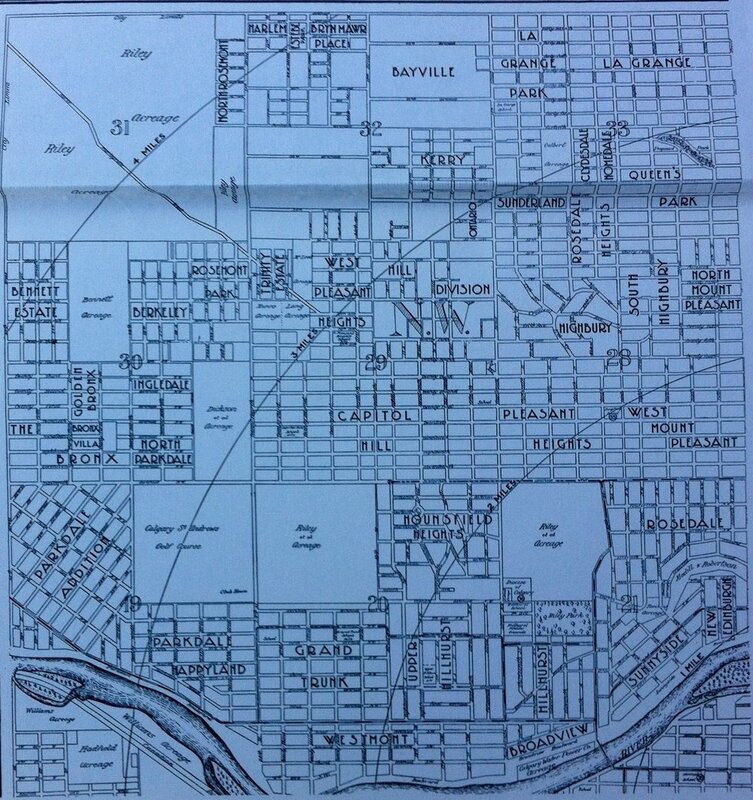 16th Ave N Urban Corridor: What went wrong? Back in 2011, with much fanfare, the City of Calgary completed the expansion and enhancement of 16th Ave NE from 6th St NE to 10th St NW. Originally budgeted at $20M, the project more than quadrupled to $89M as the project evolved from a simple addition of an addition land east and west to creating an “urban corridor” that - in theory - would attract new mixed-use developments with commercial at street level and residential above. In fact, a key reason for the increased cost of the project was the City’s acquisition of several sites to allow for immediate road expansion and future mixed-use development. Unfortunately, now five years later, the new developments haven’t happened resulting in several huge vacant lots along what should be a showcase for Calgary’s new urban sense of place. There are several long vacant lots on the south side of 16th Avenue N that should have been developed by now even in the recession. 16th Avenue N is still very auto-focused. The City wants wider sidewalks while still retaining large right of ways on the remaining land, resulting in development sites that are too shallow for cost effective parkade designs that meet city standards. The City’s Area Redevelopment Plan (ARP) zoned several key sites for major redevelopment, without considering how property lines or ownership were impacted. Some sites owned by one entity were split into two zonings with different densities and heights, but still the City wants to see one building. This makes development complex and therefore costly. The ARP on 16th Ave N also lacked input from experienced mixed-use developers, critical to understanding the complex financial considerations associated with creating viable zoning, heights, site access and uses for viable mixed-use development. Some areas of 16th Ave N still have huge by-lawed setbacks that sterilize key corners for viable pedestrian-friendly development. The City went out of its way to expand 16th Ave N to six lanes for vehicular traffic, recognizing its importance as a crucial east-west link, but then prohibited vehicular access except from rear lands. 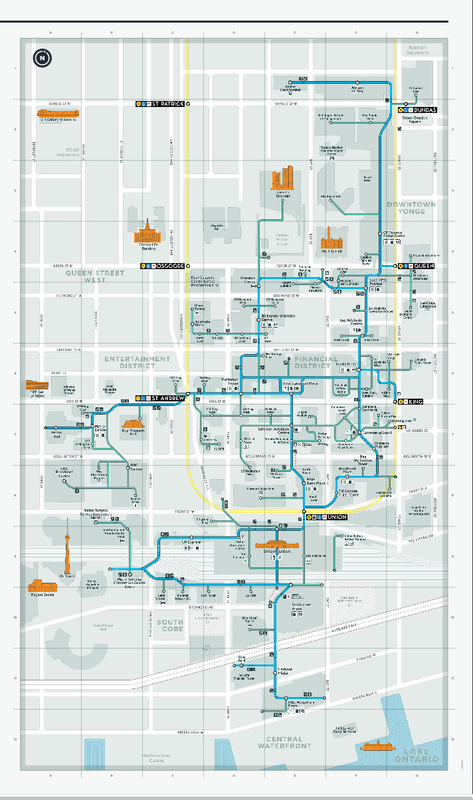 The City left key pieces missing from expansion plans (e.g. former gas station at 16 Ave and 11 St NW) where they didn’t expand sidewalks or address access leaving the costs to the developer - and ultimately new residents - which in effect rules out competitively priced mixed-use projects. Large sections of 16th Avenue N on its south side are isolated, unpleasant and very noisy with giant sound walls reflecting traffic noise back at the pedestrians. Today, Ollenberger’s office is right on 16th Ave N at 10th Street and he has been working on three projects along the corridor. If anyone could make a project work on 16th Avenue, it would be him. He has observed that locals often use the back alley on the north side between 16th and 17th Ave as their east-west pedestrian corridor, avoiding 16th Ave sidewalks all together. 16th Ave N has wide sidewalks but no pedestrians. Ironically, while 16th Ave N has struggled to attract development, 17th Ave N has been booming with new major residential developments on almost every block from Centre St to 10th St NW. One of these is the recently completed and sold out Attainable Homes’ 31-unit Mount Pleasant 1740 at the corner of 9th St and 17th Ave NW. A bit further east under construction is Trico’s Delaney, a 44-unit condo (12 units being affordable housing of which 10 are wheelchair accessible). It is interesting to note the Delaney is oriented to the alley between 17th and 16th Avenue as per Ollenberger’s observation. Further east, Castle Mountain Developments have dug the hole for Elm on 17th and two newer condos have also been completed and occupied. The good news - this increased 17th Ave N residential development will ultimately make the 16th Ave N more viable for commercial developments as they will provide the patrons needed to help make pubs, cafes, restaurants etc. viable. The Calgary Co-op, in conjunction with Quarry Bay Investments, have submitted a combined development permit and land use redesignation (re-zoning) application for their existing 16 Ave N site. 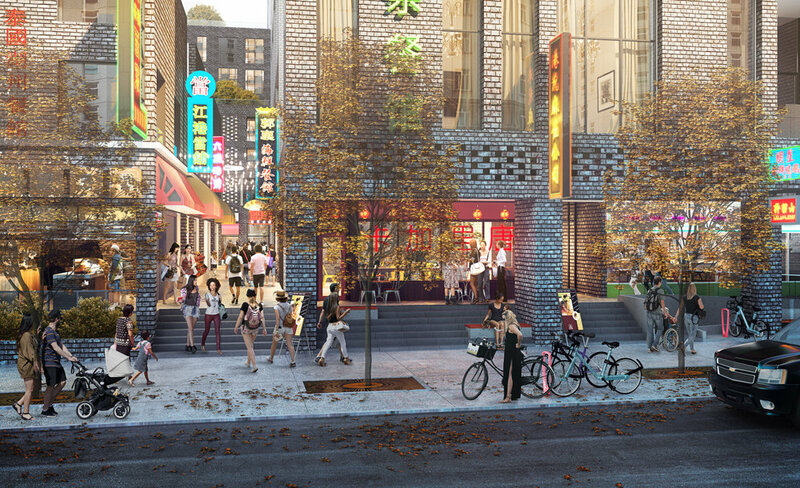 The development proposes five buildings containing a new supermarket, liquor store, financial institution, office, gas bar, car wash, and 115 residential units. The Marquee Group, a hotel developer turned condo developer, has also recently completed Marquee on 16th a nine storey 138-home residential development on 16th Ave at 1st St NE. Located near the Calgary Co-op site, these two developments could mark the beginning of a vibrant 16th Ave urban streetscape. Several interesting businesses along the north side of 16th Ave N – Aquila Books, Earl’s, The Cat’n Fiddle Pub, Turn It Up Records & HiFi, Guitar Works, Phoenix Comics, Namskar Fine East Indian restaurant and White’s Flowers – could become important building blocks for future pedestrian-oriented blocks. As well, the City is working on making 16th Avenue N a major cross town BRT route which should result in more pedestrian traffic on 16th Ave (i.e. transit users getting off and on the bus) and remove some of the cars, helping with some of the noise. Councillor Druh Farrell admits, "the ARP was overly complicated and restrictive and has since been simplified drastically." Ollenberger thinks it is great the City has acknowledge the ARP flaws. 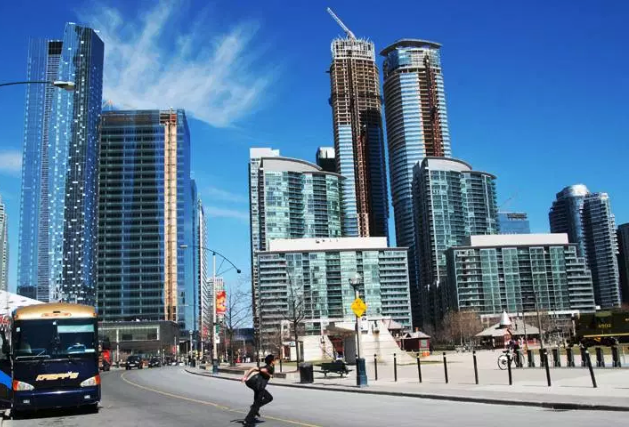 He adds, "the best thing the City could do is sell the remaining land it has quickly and then collaborate with the development and investment industry to enabling viable new developments to happen." 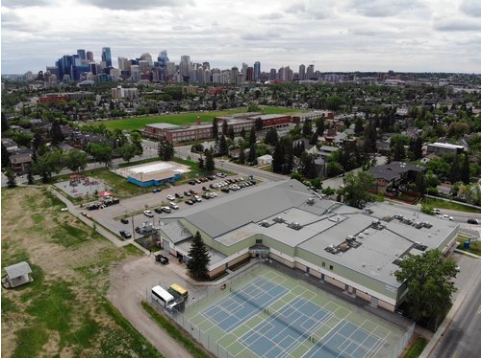 Calgary Co-op site could become anchor 16th Avenue transformation. Marquis on 16th condo from back alley. While in the past 16th Avenue N as part of the Trans Canada Highway was car-oriented, that doesn’t mean it couldn’t also be pedestrian-oriented in the future. For example, Edmonton’s Whyte Avenue is a wide car-oriented street yet also a popular pedestrian destination. The same goes for South Granville in Vancouver. Ironically, 16th Avenue N is no longer the TransCanada Highway. Signs at both the east and west entrances to the City no longer direct drivers to take the 16th Ave N but rather the ring road, bypassing the City altogether. I would like to thank Jordan for taking the initiative to contact me with this information which indicates that the City is trying to address the problems associated with 16th Ave N redevelopment and that there is still a need for improvement. I am optimistic that as the City finalizes plans for the Green Line LRT along Centre Street that further improvements will be made to help transform 16th Avenue into a vibrant urban street. As I like to say, "it takes decades for urban transformations."